Mr. Ross Smith is the Senior Regional Programme Advisor at the World Food Programme’s Regional Bureau for East & Central Africa. Prior to this position, he was the Head of Programme for WFP in South Sudan and the Head of Programme for WFP in Uganda. He first joined the agency in 2010 as an Evaluation Officer based in Rome where he managed policy evaluations and country-level evaluations in Yemen, Somalia, Afghanistan, Sudan, Bangladesh, and Uganda. 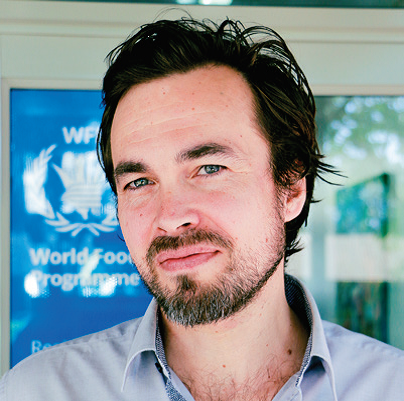 Prior to work with WFP, Mr. Smith was with UNICEF for five years as a Policy and Planning officer. From 2003 – 2005, he was a Monitoring and Evaluation Officer for the Aga Khan Foundation based in Kenya. From 1999-2003, he conducted community economic development work with First Nations communities in his home country of Canada.